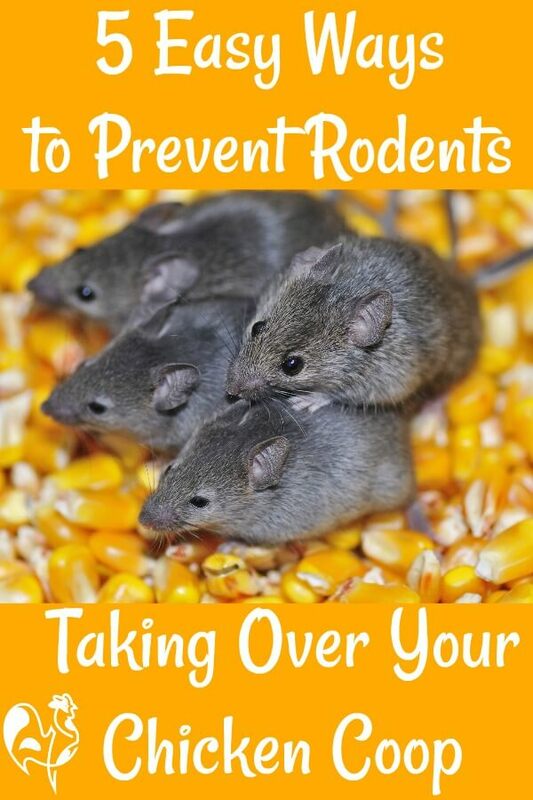 Rats, mice and how to keep them away from your chickens. Rats, mice and your chickens: 5 easy ways to make sure they don't mix. Rats and mice - the very words send shivers down the spine, and having them in your chicken coop is that last thing you want. They say that prevention is better than cure. 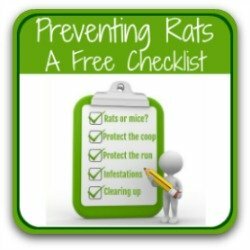 And in the case of rodents in the coop, unless you take some sensible, simple precautions, make no mistake - they will come. It happens to the best of us. 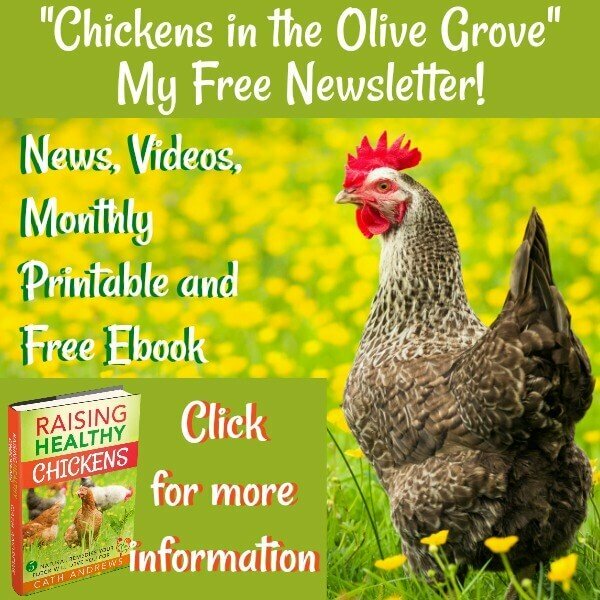 This article uses my own experience with an infestation of rats (and the odd mouse) and discussions with professional pest controllers, as well as research information, to share with you the most effective ways of keeping them away from your chickens. It also looks at some less effective ways you may have heard of. Please note: this page contains pictures of rats and mice. If you aren't comfortable with that, don't read any further. This is a long article. Below are links to different sections for quick reference. When are rats and mice most likely to invade? Knowing what attracts them is the first step in knowing how to control. 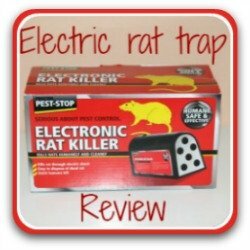 Here are the most common situations which will attract rats and mice into your home and chicken coop. They can come at any time of year, but they're especially likely to appear from the autumn (Fall) right through the winter until the weather warms up in the Spring. The harvest is in, there's no more wheat or sunflower seeds left in the fields and there's snow on the ground. Food is hard to find - and even rats and mice have to live. 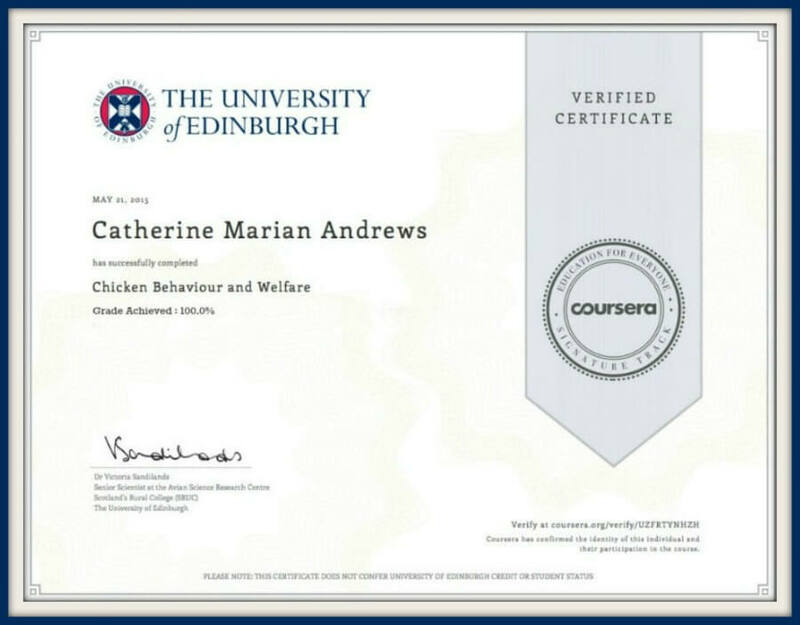 So in they come from the fields to anywhere food is more freely available - like your chicken run. At any time of year - as with their country cousins, they will look for shelter particularly in the winter months. Where rubbish is discarded on streets, gardens and back yards. Rats in the city will eat whatever they can get, wherever they can get it, so garbage to a rat means a definite supply of food. Even something as small as a discarded cup is a sure-fire attraction for rats. When building work is taking place. Make no mistake, rats travel long distances. Creating foundations often disturbs nests and rats will migrate from that area to set up home somewhere else where they feel more safe. How do I know? Because it happened in our family home when a new estate of houses was being built six miles away and the rats ended up in our garden. When food is left available. Pet food, human food, any kind of food - rats and mice have an amazing sense of smell, and smell it out they will. 5 Simple ways to make sure rats and mice don't see your chicken coop as a fast-food outlet. Many people think that if you have chickens it's inevitable you'll have rats. 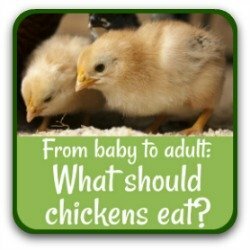 It's one of the main reasons districts give for not allowing backyard chickens to be kept. But it's just not the case. 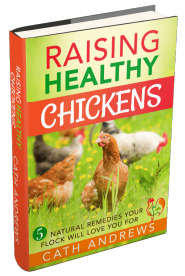 The reasons rats and mice literally smell out chicken coops is nothing to do with chickens themselves. It's all to do with the single thing that drives them most - food. 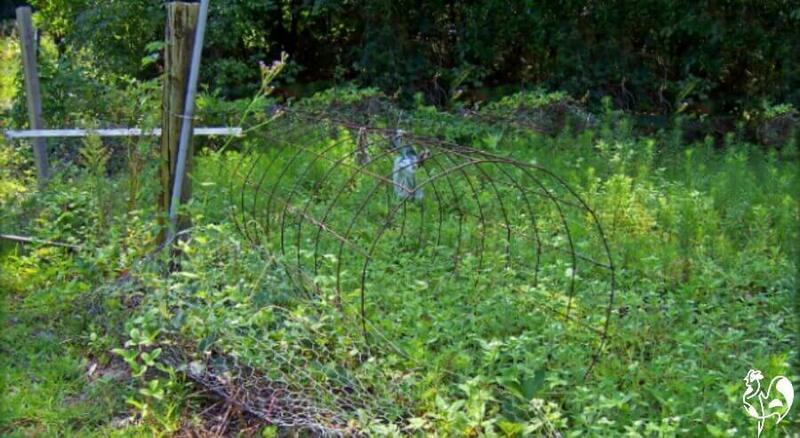 So the best ways to keep them out of your chickens' way is simple: cut off their food supply. Rats can climb! Put wild bird food in hanging containers on poles they can't reach. Step 1: Store all chicken feed in a secure container. 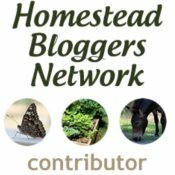 (Some links in this section are "affiliate links", which means that if you click and buy something, I earn a small commission at no extra cost to you). Food is their driving force. They eat up to 10% of their body weight each day. They have an amazing sense of smell. The smell of chicken feed will attract every rat for miles around. They can jump up to 3 feet from a standing start and leap 4 feet from one obstacle to another. They are very good at gnawing through more or less anything - except for metal. Let those things dictate how you store your chicken food. These are the galvanised metal bins I use to store my feed. I use a bungee chords to secure the lid to the handles - rats can push lids off. I haven't had a single rat or mouse in either of them since I bought them 5 years ago. Why do I use metal? Feed bags are nothing to a rat. One rat will gnaw a hole big enough to creep in within seconds. Plastic containers aren't much better than strong paper - it will take the rats a little longer, but they will get there. Strengthened plastic containers claiming to be "tough" will not be tough enough for rats. I thought my "tough" plastic container was enough. It took me a while to work out why the grain was disappearing so quickly. I thought my husband had been giving more feed to the chickens when I wasn't looking. I was wrong. Containers on wheels are no deterrent - rats climb and jump. Containers on shelving are no use for the same reason. 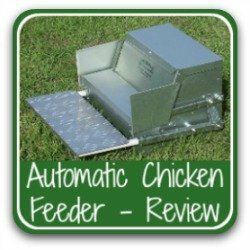 Feed needs to be stored in a metal container with no holes at all - not even a tiny hole for a pedal and a secure lid. End of story. Anything else will be found and entered. The smallest hole will be like an open invitation. A lid not secured will be knocked off. Rats are canny - if there's food and a way to access it, they will find it. Step 2 : Use a treadle feeder. Make no mistake - this is a rat, and he had been partying in my feed bin. How do I know? The shape of the ears, the length of the tail and its size overall. 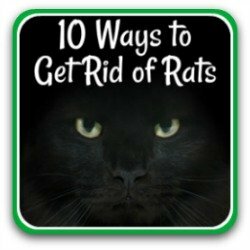 For more information about how to tell rats from mice, see this article. This large rat had managed to get into a feeder which was hanging off the ground at chicken head height. The only opening in it was the size of a small cent at the very top and a pencil-thickness gap at the bottom where the feed flows into the tray. Rats are Houdini in reverse - they're experts at getting into spaces we humans think are secure. Quite apart from the "Ugh" value, my concern was the disease brown rats - and particularly their urine - can carry. I did not want my chickens to be at risk. So I bought a treadle feeder. It was expensive and I paid extra to have it imported to Italy. But was it worth it? Absolutely. You can read my review of it, here. I have not had one single rat since I combined the metal storage containers with the treadle feeder - and I've saved a lot of money on feed now I'm not feeding the neighbourhood's rats. Step 3 : Manage your compost heaps. One of the things I love about gardening is using a compost heap. It turns unused fruit and veg, and my chickens' droppings, into beautiful, rich, black compost soil all ready to enrich next year's garden soil and encourage the growth of strong, healthy fruit and veg. It's the optimum in re-cycling. The problem is, rats and mice love compost heaps too, particularly if there's any sign of even a morsel of cooked food there. They are omnivores - they'll eat anything (including meat) and any kind of cooked food is like giving them their own little diner. How to control this? 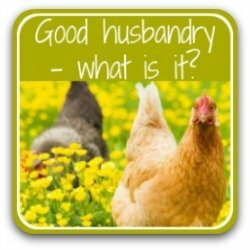 If you have an open compost heap in or near your chicken run - and I do, my flock love to rummage round in it looking for bugs - keep it for green compost material : leaves, grass, dead plants and flower-heads cut in dead-heading. Straw bedding from your chicken coop is also fine to add. Rats do love nice, warm straw, but it composts down quickly. The droppings are extremely rich in nitrogen - great for enriching compost. 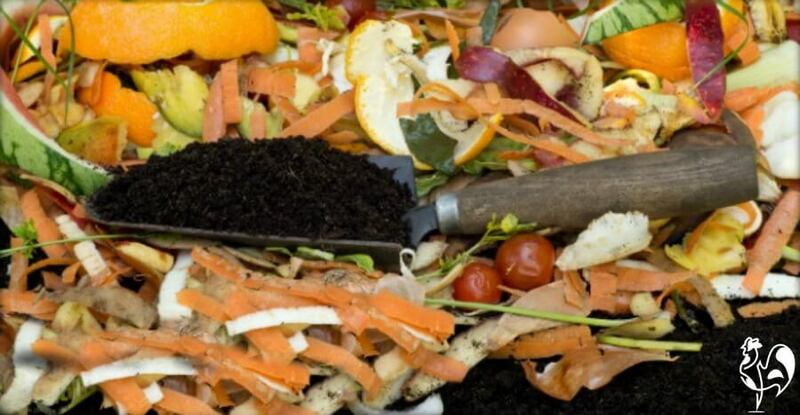 If you want a compost pile which re-cycles your veggie and fruit waste, try using an enclosed one. They're easily found at garden centres or do-it-yourself stores. So my second compost bin is like this, placed away from the chicken coop. It's completely enclosed but even if rats and mice do get into it - and they have a nasty habit if finding a way through the tiniest of holes - it's nowhere near where they can do damage to my flock. Step 4 : Keep your coop and run clean. 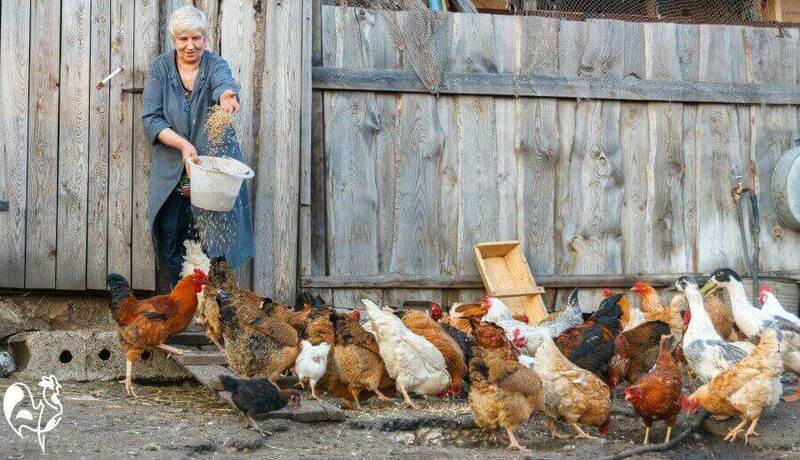 Whichever type of feeder you use, we all like to treat our chickens from time to time by throwing some treats for them directly into the chicken run. Mine have definite favourites - mealworms and corn being top of the list. It's fine to do that but to avoid any grain being left on the ground. It's a sure attraction for rats and mice. Make sure you feed on open ground as early in the day as you can, so that by roosting time it's all eaten. No - this is not me! In terms of your coop, if you use straw as your bedding make sure you clean and aerate it regularly. Rats are good at hiding. 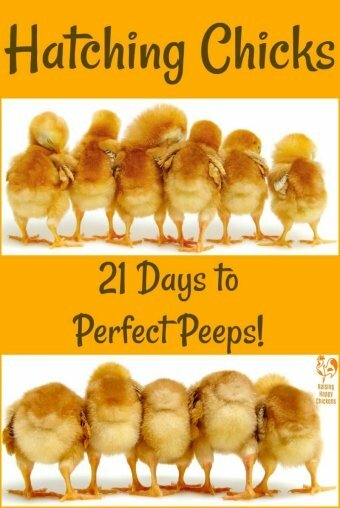 When I had an infestation, I discovered a nest of rats sleeping in the straw near to the chickens' nesting boxes, just waiting for the next tasty egg to drop. Trust me - it's not something you ever want to happen to you. 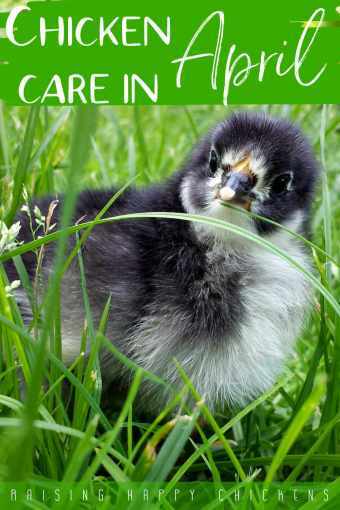 Step 5 : Trim grass and shrubbery around your coop and run. Fact: rats hate open spaces. They will avoid running across them if they possibly can. If you've ever seen a "rat run" - the tracks rats leave when they've come out to feed - you'll have seen that wherever possible they are around the edge of boundaries. Overgrown shrubbery and grass are a haven for rats. 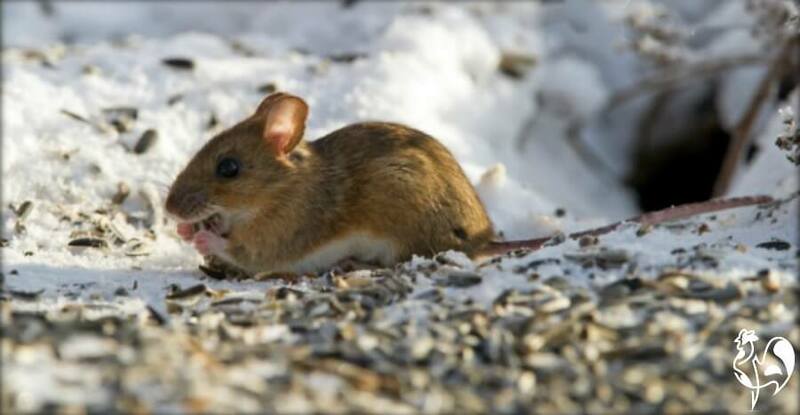 They can dig their runs and build their nests without being disturbed. And they can make their way to the source of food without predators being able easily to see or to catch them. For those reasons it's a good idea to keep the grass and shrubbery around your chicken house cut back and under control. If they have no hiding place they're more likely to find another home. A garden as overgrown as this gives too many places for rodents to hide. As well as open spaces rats and mice dislike two other things: light, and predators. For that reason they prefer to come out at night and feed under cover of darkness, although they will appear during the daylight if they know there's food to be had. Installing some sensor lights can help keep rats at bay. They are creatures of habit, though. Once they get used to the light, although they won't like it, they'll risk it if there's food around. 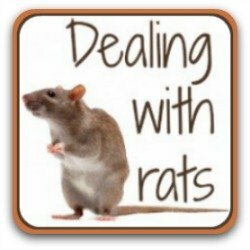 Don't make life easy for rats - they bring disease and they will even eat small chicks. If you want to know more about them have a look at this page. Keep your grain in good containers and your coop and run well maintained and free of available food. 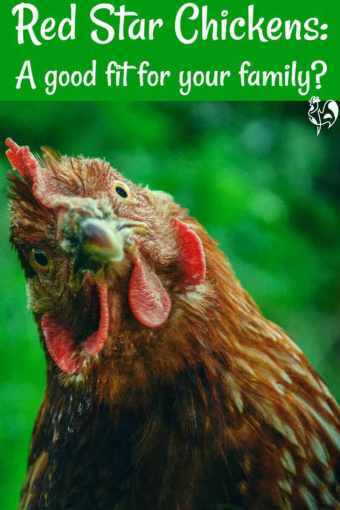 And finally, when someone tells you they won't keep chickens because they attract rodents, make sure you let them know this : chickens don't attract rats and mice. Food does. Or, jump over to some of my other pages which look at how to know you've got a problem and what to do about it. Click on any of these images to go to that page. Mr Darren McKellar, Pest Control and Clinical Waste Manager at the London Borough of Lewisham, UK, who was kind enough to give me advice and permission to use the very helpful graphics on some of my other pages. The US Centers for Disease Control and Prevention have been extremely helpful in identifying disease and illnesses caused by rodents. Their website contains much fuller information than I can cover here.